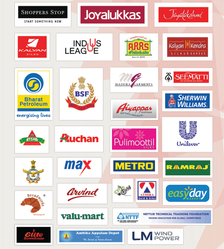 Established in the year 1996, at Bengaluru, we “Unitech" have emerged as the most distinguished manufacturer of optimum quality Supermarket Shelves, Toy Store Shelves, Vegetable Rack etc. These products are designed and fabricated with the usage of pristine quality raw materials and pioneering machines under the stern surveillance of our hardworking professionals at par with industry quality standards. Our offered products are widely appreciated in the market owing to their indispensable features such as optimum finish, alluring look optimum strength, ability to withstand adverse weather condition, spacious robust construction, precise dimensions, easy installation, etc. In addition to this, our offered products are made available in distinct sizes and other related specifications to meet the urgent needs and preferences of our renowned patrons. We provide these products at highly competitive prices within the estimated time span. We are fostered with state-of-the-art and pioneering infrastructural facility that is segmented into variegated sections which include procurement section, designing section, production section, quality testing section, warehousing & packaging section and research & development section for smooth and efficient business operations. 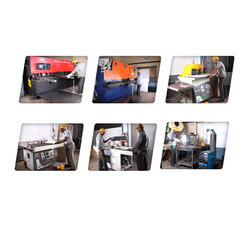 Our ultra-modern production unit is outfitted with high-tech machines and advanced techniques that are required to fabricate the provided products at users’ premises within stipulated time span. Its unit is handled by our brilliant and enthusiastic team of professionals who is recruited by testing their knowledge and skills. Additionally, our quality associates examine these products on different measures of quality to assure their quality. With the support of Mr. Jaison Varkey (Proprietor), we have been able to meet the vast necessities of the patrons. His support and dedication towards work enable us to become the renowned choice of the clients. We are committed to design, manufacture, install and maintain infrastructure and interior solutions using good skill, quality raw materials, effective people and above all, prompt delivery to excel in all parameters of customer satisfaction. Our products are very durable and easy to install, dismantle and reassemble according to your needs. We have the best people working for us, who are highly talented to grasp the diverse needs of our prestigious clients. Their diligent efforts are backed with their rich academic background and diverse industrial expertise. Our team comprises of highly experienced product designers, manufacturing engineers, trained technicians, price analysts, quality assurance supervisors and diligent distribution team of sales and marketing professional. Our modern infrastructure is a competitive advantage that benefits us to achieve operational excellence. As we have the highly advanced manufacturing and packaging machinery along with a wide storage capacity stocking and distribution unit. These units are fully equipped with advanced technology equipment to allow us to deliver products faster and in a more efficient way. In addition, frequent upgrade to optimize the productivity is another factor behind our rapid growth. Quality of our products is controlled at all levels of production by our qualified staff, to ensure defect free products. One of the major attractions of our products and the most preferred feature by our prestigious clients is, durability and rigidity to withstand everyday wear and tear, keeping in mind aesthetics and the value of your products to be displayed. Our products are most cost effective. The fact, which endorses this, is our group of experienced designers who put their skills together to give you the end product with stints of ethnic touch and international standards and quality. One of the major attractions of our products and the most preferred feature by our prestigious clients is, durability and rigidity to withstand everyday wear and tear, keeping in mind aesthetics and the value of your products to be displayed. Our products are most cost effective. The fact, which endorses this, is our group of experienced designers who put their skills together to give you the end product with stints of ethnic touch and international standards and quality. The key to our progress has been the continuous R&D programmed in process, improvements and new product developments, also design and manufacture of special purpose machines, for in-house requirements and special products. The secret behind our well balanced growth is our commitment to deliver quality and a minimum of cost. We believe leveraging innovation is the key to expand product offerings. Further, our offered highly durable shelves and racks are a diligent outcome of our endeavors to use the best suited inventory of raw material, and a dedication to design and develop outstanding product enriched with wealth of features and advantages. To understand the evolving market demands, it’s essential to ensure repeated business with a large number of clients. Hence, to respond accurately to the needs of quality, we are accountable to adhere to the good manufacturing practices. Our quality policy is designed in harmony with the rigid industrial standards, which ultimately equips us to undertake rigorous quality checks on every finished product on the parameters of design, look and durability.